WILSONVILLE, OR -- 3/01/11 -- XZERES Wind Corporation (OTCBB: XWND), designer, developer and producer of distributed generation, wind power systems for the small wind market (2.5kW-100kW), today announced that it has successfully signed two large national distributors that are now offering XZERES’ Wind Turbine Systems to their customers. Addressing the North American marketplace, both distributors combined represent nearly 900 locations and total over $20 billion in annual sales volume. Each distributor currently sells and distributes other products and services such as electrical supplies and components, which target similar end-markets as XZERES. “We’re pleased to be announcing these new partnerships with two very prestigious distributors. Both are major players serving many of the same customers we currently target”, stated Frank Greco, CEO. “We anticipate that both organizations could add significant new business in addition to our existing direct efforts within the U.S. and Canadian markets, thereby further broadening our distribution capabilities.” The XZERES 2.5kW and 10kW systems are now available for purchase through both of these distributors. The information provided herein may include forward-looking statements within the meaning of Section 27A of the Securities Act of 1933, and Section 21E of the Exchange Act of 1934, as amended and such forward-looking statements are made pursuant to the safe harbor provisions of the Private Securities Litigation Reform Act of 1995. XZERES Wind Corp claims the protection of the safe-harbor for forward-looking statements contained in the Reform Act. These "Forward-looking statements" are largely based on our current expectations and projections about future events and financial trends affecting the financial condition of our business. Such forward-looking statements include, in particular, projections about our future results included in our Exchange Act reports, statements about our plans, strategies, business prospects, changes and trends in our business and the markets in which we operate. These forward-looking statements may be identified by the use of terms and phrases such as "anticipates", "believes", "can", "could", "estimates", "expects", "forecasts", "intends", "may", "plans", "projects", "targets", "will", and similar expressions or variations of these terms and similar phrases. Additionally, statements concerning future matters such as new business models, new products, product enhancements, new technologies, sales levels, expense levels and other statements regarding matters that are not historical are forward-looking statements. Management cautions that these forward-looking statements relate to future events or our future financial performance and are subject to business, economic, regulatory and other risks and uncertainties, both known and unknown, that may cause actual results, levels of activity, performance or achievements of our business or our industry to be materially different from those expressed or implied by any forward-looking statements. These forward-looking statements involve risks and uncertainties that could cause actual results to differ materially from those projected, including without limitation, the following: (a)new business models may be more difficult and/or take longer than anticipated, may be more costly than anticipated and may have unanticipated adverse effects relating to the Company's business; (b) the challenge of compensating and retaining key employees; (c) the impact on the Company and our customers from the current domestic and international economic, geo-political and financial market conditions; (d) the success of our new products and new business models in achieving their expected benefits; (e) to perform as expected without material defects; (f) to be qualified and accepted by our customers, (g) to successfully compete with products, systems, technologies and services offered by our competitors; (h) we may not be successful in undertaking the steps currently planned in order to further develop the business; and (i) other risks and uncertainties described in our filings with the Securities and Exchange Commission. Neither XZERES Wind Corp. management nor any other person assumes responsibility for the accuracy and completeness of the forward-looking statements. All forward-looking statements in this press release are made as of the date hereof, based on information available to us as of the date hereof, and subsequent facts or circumstances may contradict, obviate, undermine, or otherwise fail to support or substantiate such statements. We caution you not to rely on these statements without also considering the risks and uncertainties associated with these statements and our business that are addressed in our filings with the Securities and Exchange Commission that are available on the SEC's web site located at www.sec.gov. Certain information included in this press release may supersede or supplement forward-looking statements in our other Exchange Act reports filed with the SEC. We assume no obligation to update any forward-looking statement to conform such statements to actual results or to changes in our expectations, except as required by applicable law or regulation. As part of the implementation of the Dodd Frank Wall Street Reform and Consumer Protection Act, the Federal Deposit Insurance Corporation will host the fifth in a series of roundtable discussions with key stakeholders. The discussion will focus on a study of core and brokered deposits, as required under the Act, and will take place Friday, March 18, 2011 from 10 a.m. to noon. Government officials, industry executives and other stakeholders will discuss the current brokered deposit restrictions contained in the Federal Deposit Insurance Act and related regulations as well as more recent innovations in the methods institutions use to gather deposits. Dialogue will focus on the relative volatility or stability of certain deposits as well as their franchise value and how these features are affected by the underlying characteristics of a deposit, such as interest rate and relationship with the depositor. Participation in the roundtable is based on achieving a diverse set of views to produce a constructive and collaborative discussion. The FDIC will make available a live public Web cast of the roundtable on the day of the event. An archive will be made available approximately two to three days following the live Web cast. Additionally, the FDIC invites comments relative to this study. Comments should be submitted to coredepositstudy@fdic.gov by May 1, 2011. Please visit http://www.fdic.gov/regulations/reform/coredeposits.html for additional information. The FDIC will review and take the comments into account when preparing the study. The roundtables are part of the FDIC's overall effort to bring transparency into the implementation of the Dodd Frank Act. The first forum was held on August 31, 2010 and centered on the new resolution authority provided in Dodd Frank. The FDIC has created a dedicated Web site for financial regulatory reform. The site contains: a list of events, including any subsequent roundtable discussions; a place for interested parties to submit and view comments on financial regulatory reform; and information on the FDIC's overall open-door policy on reform. The site can be accessed directly by going to: http://www.fdic.gov/financialreform/. WASHINGTON (MarketWatch) — Federal Reserve Board Chairman Ben Bernanke stuck his neck out on Tuesday and said the increase in inflation from the spike in oil prices will be modest and temporary. Exeter Options Project Adjacent To Caspiche Gold-Copper Porphyry, Chile. Vancouver, B.C., March 1, 2011 – Exeter Resource Corporation (AMEX:XRA, TSX:XRC, Frankfurt:EXB – “Exeter” of the “Company”) is pleased to announce that it has entered into an option agreement with Xstrata Copper to acquire 100% of the Sideral project adjacent to its Caspiche gold-copper porphyry property in the Maricunga gold district of Chile. The Sideral property covers 1,190 hectares (2,941 acres) and is located immediately east of Exeter’s Caspiche tenure of 1,260 hectares (3,114 acres). Previous exploration has highlighted anomalous gold-copper surface geochemistry coincident with geophysical (electrical) anomalies comparable to those that define the Caspiche Porphyry. Additional electrical geophysical work and sampling has already begun on the property to further expand and define these anomalies. Preliminary drill testing is expected to commence in early March, 2011. Justin Tolman, Exeter’s Caspiche Project Manager stated “Global exploration has repeatedly demonstrated that one of the best places to find a new porphyry system is near an existing one. This has been evidenced by recent discoveries close to a number of known porphyry deposits elsewhere in Chile. “Exeter’s exploration team is very positive on the discovery potential of such a key under-explored block of Maricunga lands. We are particularly keen to apply our porphyry experience to a project located in such close proximity to Caspiche. If there is a discovery to be made I am confident our team has the experience to make it. “Drilling on existing geophysical targets at Sideral will commence in early March, immediately following completion of the Caspiche infill drilling program where we have two rigs employed. The aim of that program has been to lift higher grade “inferred” mineralization into the “measured and indicated” categories. We plan to contract additional rigs for the discovery drilling program at both Sideral and Caspiche Regional, with a minimum of 3,000 metres (“m”) (9,843 feet (“ft”)) planned for each project before the season closes for winter in May. The agreement with Xstrata provides for Exeter to acquire 100% of the Sideral property by meeting escalating annual drilling requirements, to a total of 15,000 m (49,213 ft), within four years. After the 15,000 m (49,213 ft) of drilling is completed, Xstrata has a once only back in right to acquire a 60% interest in the property, provided the discovery of a deposit of greater than 100 million tons at +0.5% copper has been made. Should Xstrata elect to back in, it will be required to repay Exeter three times its expenditure on the property. In the event that Xstrata does not exercise its back in right, its interest will revert to a 2% NSR. Exeter has the right to purchase 50% of the NSR for $10 million, leaving Xstrata with a 1% NSR. Justin Tolman, Exeter’s Capsiche project manager and a “qualified person” within the definition of that term in National Instrument 43-101, Standards of Disclosure for Mineral Projects, has supervised the preparation of the technical information contained in this news release. Exeter Resource Corporation, with a treasury of $86 million, is a Canadian mineral exploration company focused on the exploration and development of the Caspiche project in Chile. The project is situated in the Maricunga gold district, between the Refugio mine (Kinross Gold Corp.) and the giant Cerro Casale gold deposit (Barrick Gold Corp. and Kinross Gold Corp.). The discovery represents one of the largest mineral discoveries made in Chile in recent years. Exeter has initiated pre-feasibility studies with the aim of demonstrating the commercial viability of this world class discovery. Labels: Mining: Exeter Resource Corporation. completion by calendar year end. of the license area to generate new prospects. Samples reported were assayed at PT SGS Indoassay Balikpapan Lab. NI43-101 has reviewed and approves the content of this release. trading on the TSX Venture Exchange under the symbol "EAS". Enforcement Action: David L. Ortiz, d/b/a Goyep International, Inc. and Royal Returns, Inc.
David L. Ortiz, d/b/a Goyep International, Inc. and Royal Returns, Inc.
Order: David L. Ortiz, et al. CFTC Press Release 5992-11 provides further details on this action. NYT: Morning Business News: U.S. Plans for Trade Are Stalled. Republicans have refused to allow a South Korean free-trade deal to move forward until the White House makes similar progress on deals with Colombia and Panama. A coalition of retailers and clothing makers, including Wal-Mart, is planning to issue sustainability scores that the industry, and eventually shoppers, will use. Will Charlie Sheen ever work again? WSJ: China News - China Real Time Report: China Watch: A Warning on Pollution, Morgan Stanely Hacked? China Watch: A Warning on Pollution, Morgan Stanely Hacked? China's environment minister issues a dire warning on pollution, leaked emails suggest Morgan Stanley got the Google treatment from China-based hackers, an astounding bank robbery and more. China has sent four military transport planes to help extract the last of its citizens from Libya-even though most have already left-marking the first time China's air force has participated in a civilian evacuation mission overseas. The Chinese government recently announced an ambitious plan to more than double the size of its entertainment and other cultural industries in the next five years, adding more weight to the fight between Hollywood and China for the country's entertainment dollars. China's "national liquor" scores big at auction, a survey finds Chinese consumers avoid domestic milk products, foreign media photo editors called out and more. China's energy consumption rose 5.9% in 2010 to 3.25 billion metric tons of coal equivalent, though growth of such consumption was expected to slow as Beijing promotes cleaner fuels and lowers its target for broader economic growth. The U.S. Treasury makes a sharp upward revision in China's holdings of U.S. dollar assets, while the Bank of Japan's governor Masaaki Shirakawa strikes out against critics. The WSJ's Jake Lee and Heard on the Street Editor Mohammed Hadi discuss. The United States and its European allies tightened their noose around Libya's besieged government Monday, positioning military assets for possible action in the Mediterranean as they launched humanitarian efforts to assist refugees and rebel forces that have seized the eastern part of the country. As unrest in Libya keeps crude prices high, the U.S., Europe and Japan might have to spend almost $200 billion more on imports of crude this year than they did in 2010, potentially threatening their economic recoveries, the International Energy Agency said. India's finance minister unveiled a $278 billion national budget that surprised the markets with his aggressive plans to shrink the country's deficit, which had risen in recent years and was worrying investors. As prices for food and other essentials climb, a growing number of governments are adding or extending subsidy programs, price controls and other short-term fixes that many economists fear will only worsen inflation. Persian Gulf stock markets tumbled again, hitting multi-month lows, as fast-spreading unrest in the Arab world threatened to disrupt the region's oil monarchies. 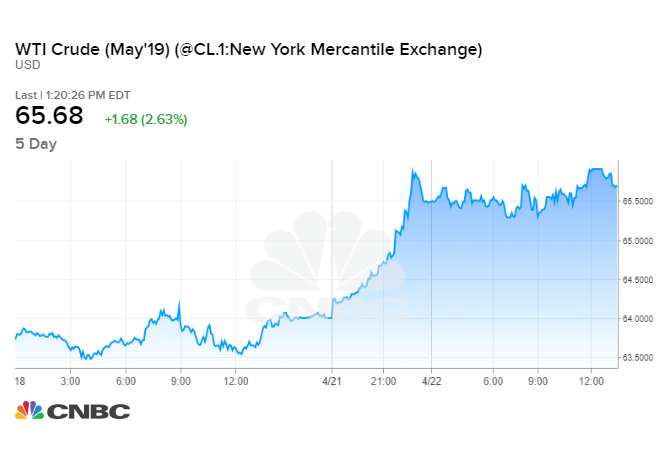 The past two weeks have seen a "terrific move out of the dollar" and into the euro, among others, even as the euro zone's debt problems remain unresolved. Indian Finance Minister Pranab Mukherjee presented a $273.4-billion budget for the year which starts April 1, 2011. Here are the highlights. You'll have to pay more for eating at nice restaurants and for hospitalization but there some tax breaks too, says Shefali Anand, India personal finance writer. Apple is expected to unveil a new version of its iPad tablet device at a special event on Wednesday. As India's finance minister unveils the budget for the coming fiscal year, take a look at the country's economic health over the past two decades. One of the big surprises in the 2011-2012 budget was that spending on the country?s landmark rural employment program remained flat, disappointing activists who see it as a way of redressing growing wealth disparities. India's Finance Minister Pranab Mukherjee introduced the federal budget 2011-12, Monday. In pictures?the winners and losers. Powerful visions of what our public spaces could become need to be effectively communicated to the public, says urban planner Bimal Patel, who is working on the redevelopment of the Ahmedabad riverfront. For the next six weeks, WSJ India will be publishing one column a week as part of the Urban Journal series, which will focus on the unprecedented changes Indian cities are experiencing. Contributors include urban planners, architects, an anthropologist and a conservationist. Here is a roundup of news from Indian newspapers, news wires and Web sites on Tuesday, March 1, 2011. The Wall Street Journal has not verified these stories and does not vouch for their accuracy.